What's Holding the iPad Back from Mainstream Business Adoption? The new iPad is here, and it’s already a phenomenal success--reportedly selling three million units in a mere 72 hours. As popular as the iPad is, though, and as much success as Apple has had thus far in breaking down corporate barriers, it still seems like there is something holding companies back from truly embracing the iPad. The new iPad isn’t revolutionary, but the evolutionary improvements it delivers compared to its predecessor--the iPad 2--do provide some unique benefits that could drive increased business adoption. Many business users will appreciate the faster 4G wireless capabilities on the go, and the “Retina” display broadens the horizons of what the iPad is capable of. 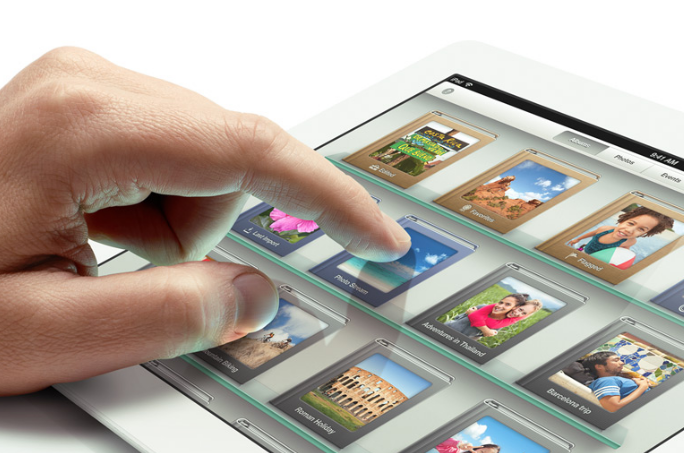 The "Retina" display of the new iPad opens up some new possibilities. I spoke with Aaron Levie, co-founder and CEO of Box.com, about the impact the new iPad might have on business adoption. Levie feels that the iPad in general is already an overwhelming success. It is already on the radar for most businesses, and any additional capabilities are gravy at this point. Levie does, however, think that the “Retina” display and improved graphics processing capabilities open the door for new kinds of apps not possible on the previous model. Fields like engineering, construction, CAD (computer-aided drafting), medical, and scientific could all benefit from next-generation apps that capitalize on the unparalleled display of the new iPad. Even with all it has in its favor, though, the iPad seems to be fighting an uphill battle for mainstream adoption in the business world. Onuora Amobi, CEO of Nnigma, agrees with Aaron Levie when it comes to the possibilities with the new iPad, but he also points out that one area where the iPad is lacking is with network deployment and management tools--the sorts of things IT admins need to effectively manage the devices in a corporate environment. Apple has made significant progress providing management capabilities for iOS since the days of the original iPhone. Using Exchange ActiveSync, admins can actually manage security policies, and protect data on iPhones and iPads. It is better than it used to be, but Apple still maintains control of its own “walled garden” which makes it difficult for developers to create tools that effectively manage iOS devices. Mike King, Principal Mobile Strategist for Appcelerator, says, “Many of the enterprises we talk to are nervous about security management and application development for the iPad.” However, King adds that many companies are weighing the benefits and productivity gains the iPad represents against the potential risks, and choosing to go forward with the iPad anyway.